Bhubaneswar: BJP national president Amit Shah on Tuesday hailed the warriors of Paika rebellion in Odisha who fought the British. On his way to Ganjam, the home turf of Chief Minister Naveen Patnaik, Shah had a brief halt at Khordha and paid floral tributes to the fighters of Paika Rebellion of 1817. 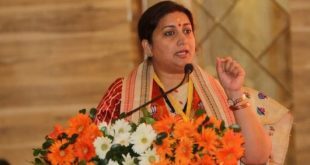 “When the East India Company started tinkering with the revenue system in 1803, the farming community of Odisha rose in rebellion,” the BJP president said in a Twitter post. 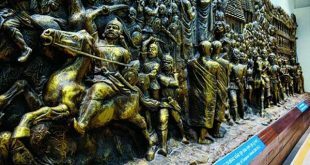 “The great Paika Rebellion in 1817 was led by Bakshi Jagabandhu Paika Bakshi projecting Lord Jagannath as the symbol of Odia unity,” he tweeted. Shah launched the party’s grassroots connect exercise ‘Mo Booth Sabuthu Majboot’ in Ganjam. Shah was accompanied by senior BJP leaders like Petroleum Minister Dharmendra Pradhan and state party president Basant Panda. 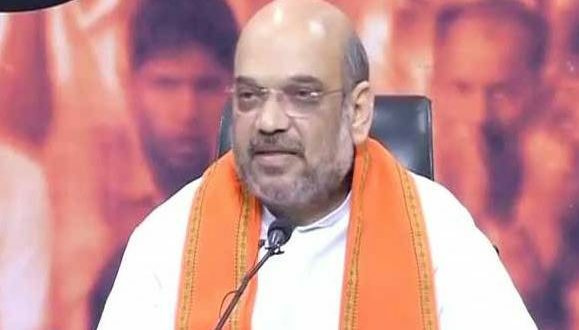 Shah’s three-day Odisha visit is aimed at expanding the party’s base in the state ahead of the 2019 elections. 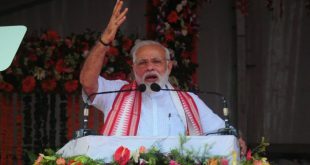 He is scheduled to visit Jajpur district on Wednesday to attend mass connect programmes. On 6 July, he is slated to attend similar programmes in Khurda district.